Our Mission is to improve the knowledge of the users by effectively utilizing the timely updated resources through the innovations of the Information Technology and to facilitate users satisfaction through high quality service. National and International peer reviewed journals and Magazines are arranged and displayed department wise. We are using IP Based unlimited access. and download Full-text of resources from the following databases. 4 Book Supply Bureau ASTM Digital Library 1. 47,000 articles from 9 prominent engg.Jls. NPTEL (National Programme on Technology Enhanced Learning) video lectures access facility are provided in the Digital Library of our college. It is informed that the same access facilities are available ­­ through offline of our college LAN using Local Guru Software. The prime objective is promoting resource sharing among the libraries through the development of a network of libraries. It aims to collect, store, and disseminate information. Our college is Member of DELNET for getting information from other member libraries for reference. S.Karthikeyan has obtained his M.Phil in Library and Information Science from Alagappa University, Karaikudi in the year 2005, ADIS (Associateship in Documentation and Information Science) from DRTC, Indian Statistical Institute, Bangalore in the year 1993, MA in Economics from Madurai Kamaraj University, Madurai, BLISc from Madurai Kamaraj University, Madurai. He has 22 years of experience in the field of Library and Information Science as Librarian. 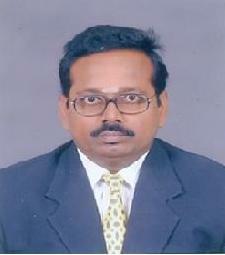 He is the Life Member of Indian Society for Technical Education (ISTE),New Delhi.